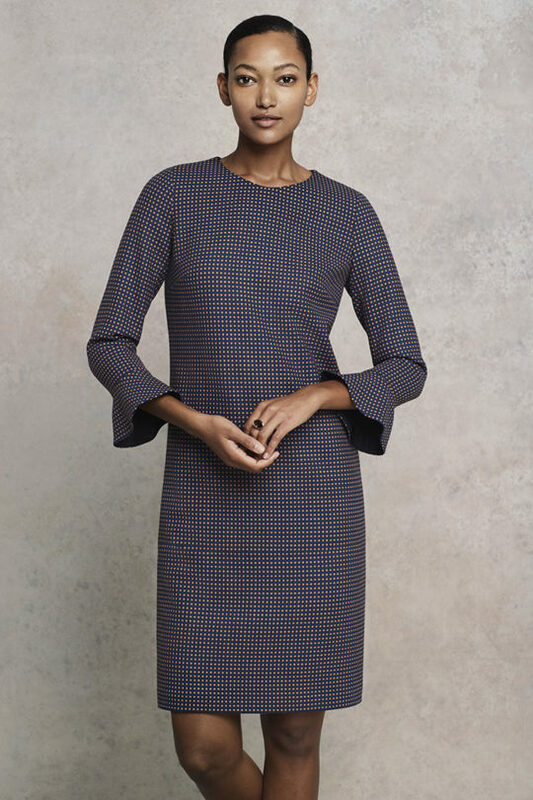 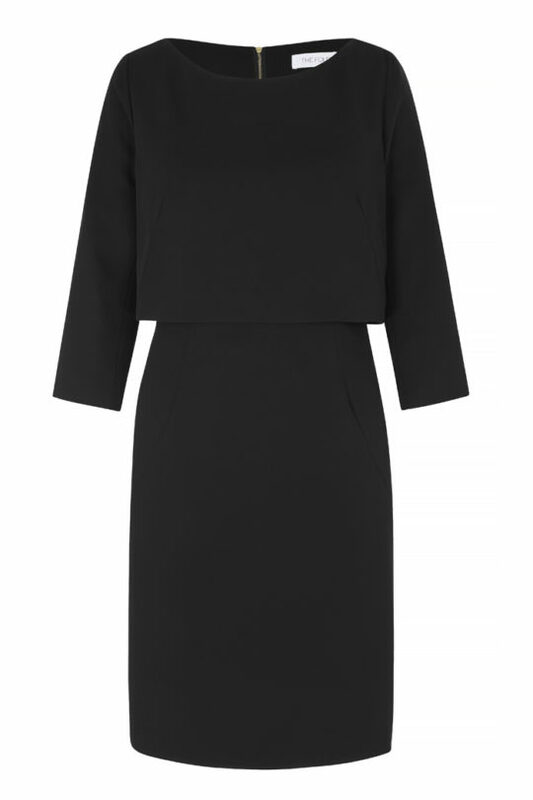 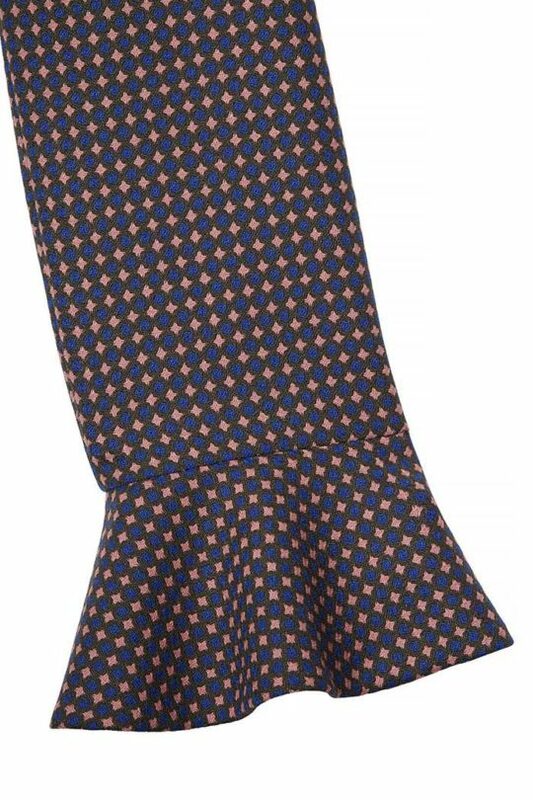 A figure-enhancing dress with an elegant folded neckline, perfect for styling from desk to dinner. 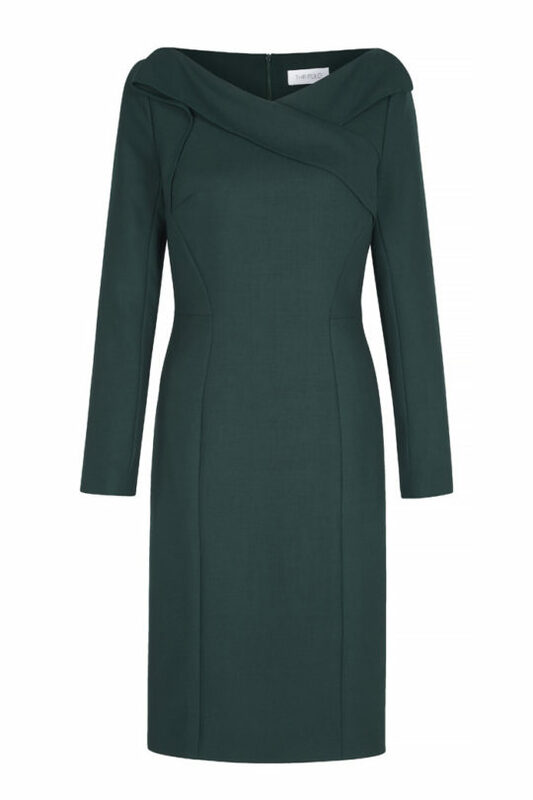 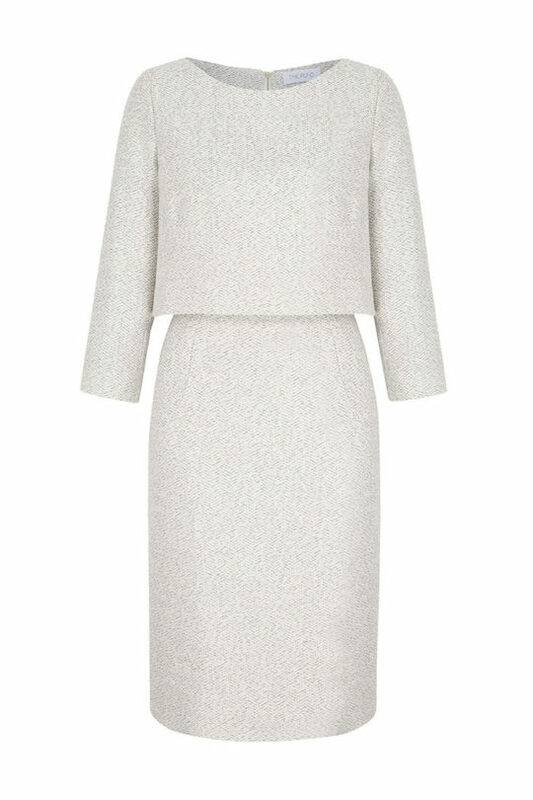 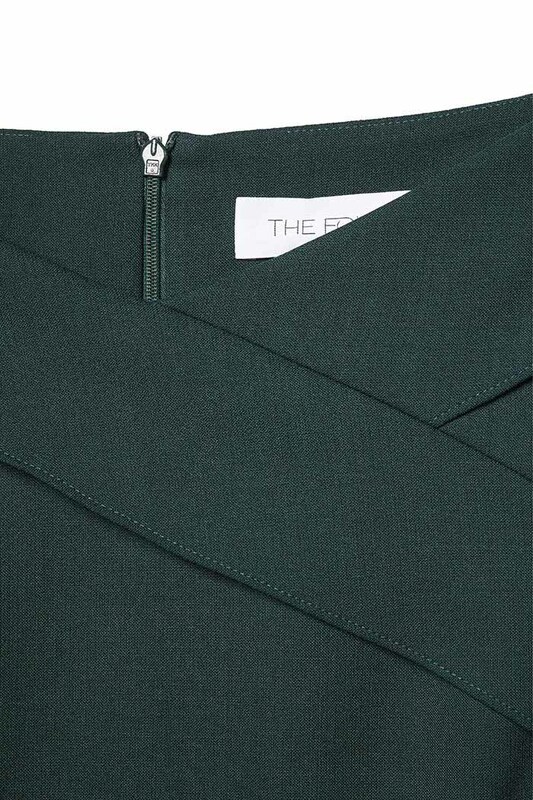 The Glenmore dress is tailored in luxurious stretch Italian wool for a slim fit. 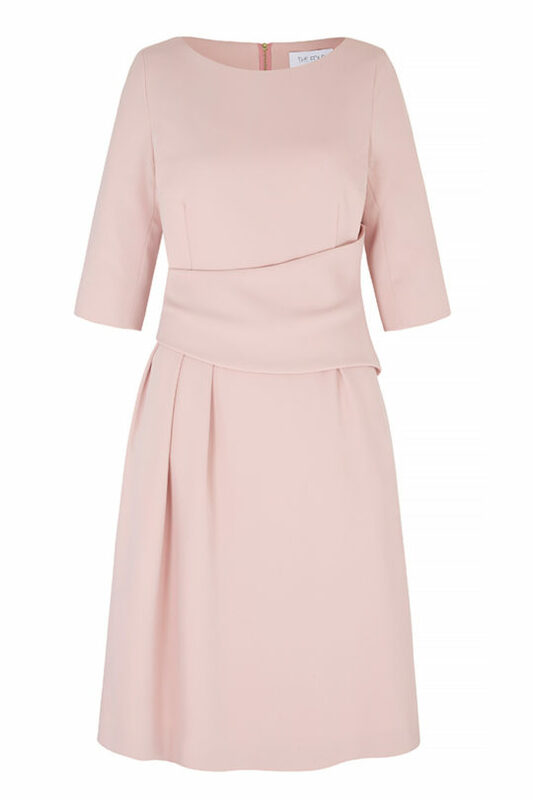 It is enhanced by waist-defining seams along the bodice and has a flattering folded neckline. 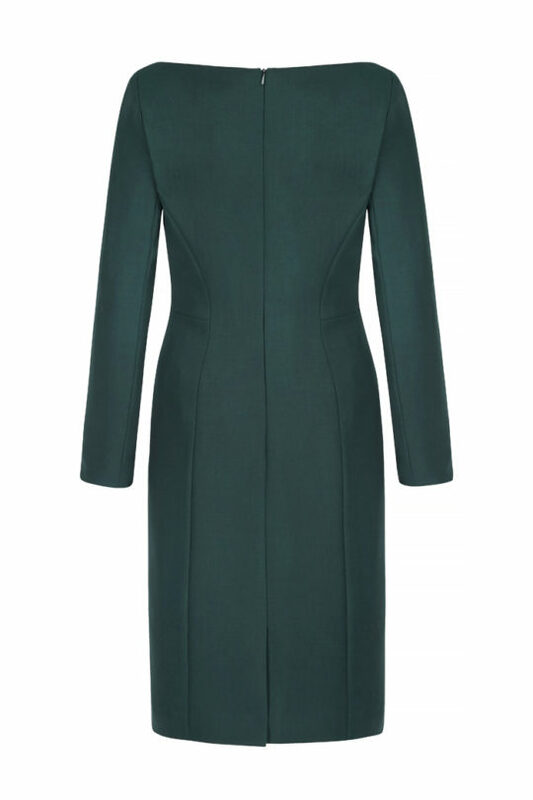 Complement the deep green hue with gold accessories.